Caitlin works with students and alumni in Washington, D.C., as a transformational career coach. She provides guidance around self-exploration, job search strategy, and networking through individualized coaching and professional development courses. 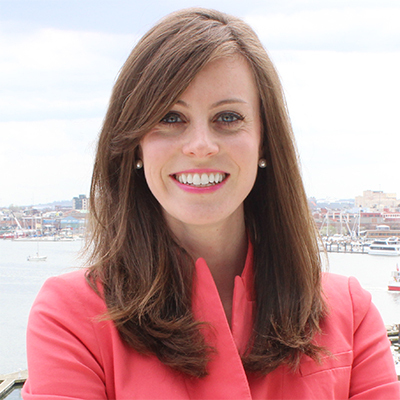 Caitlin Magidson is an assistant director and career coach at the Johns Hopkins Carey Business School’s Washington, D.C., campus, with experience in online and in-person mentoring, counseling, and coaching. Expertise includes coaching in career exploration, branding, resume and cover letter creation, networking, LinkedIn, interview preparation, and salary negotiation. On a national level, Caitlin's coaching expertise extends to students through Modern Guild, a Top 25 New York City start-up web-enabled career mentoring program. Caitlin draws on experience as an enthusiastic mentor at various universities to guide students in finding satisfying careers and approaches coaching from a holistic and appreciative perspective. Her ability to listen and counsel is strengthened by experience in mental health counseling at the University of Maryland. Caitlin also has study abroad experience in Central America and long-term service experience in Eastern Europe, and enjoys working with diverse populations. She holds a BA in Corporate Communications from Elon University, an MS in Mental Health Counseling from the Johns Hopkins School of Education, is certified in career assessments including StrengthsQuest and CareerLeader, and is a Certified University Career Coach through The Academies.